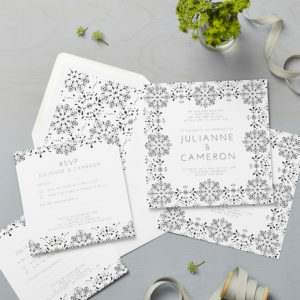 The Valentina wedding stationery is a classic design that pays homage to the beauty of lace laser cut fashion. 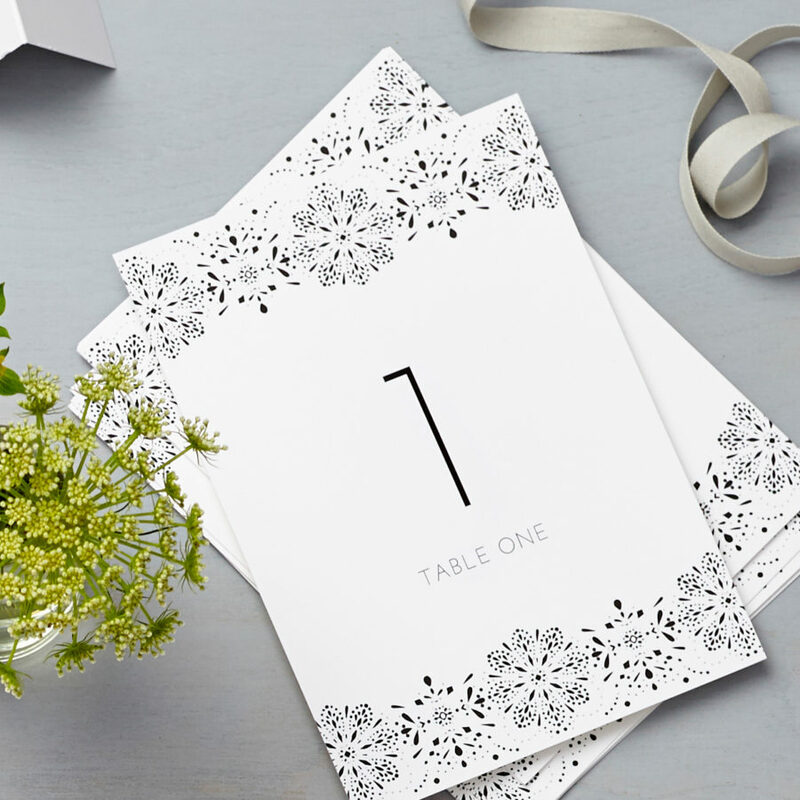 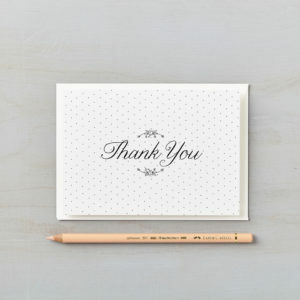 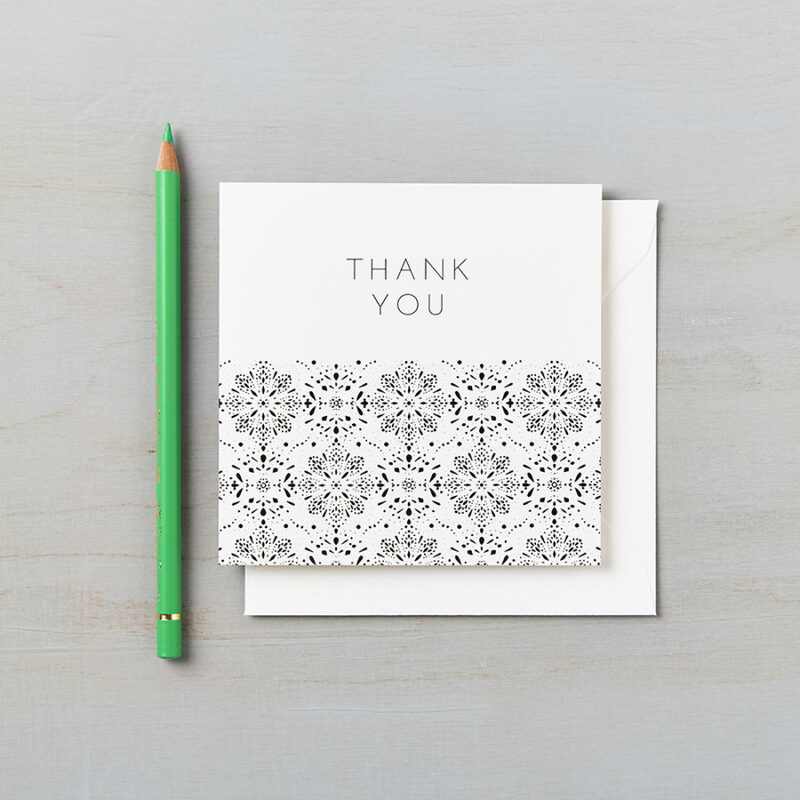 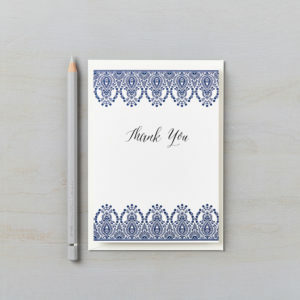 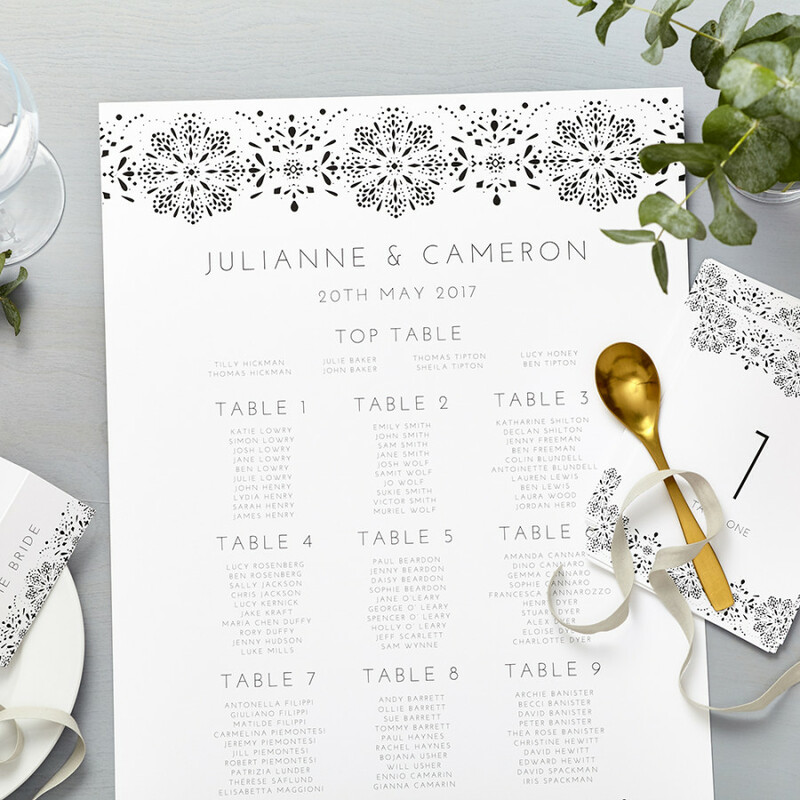 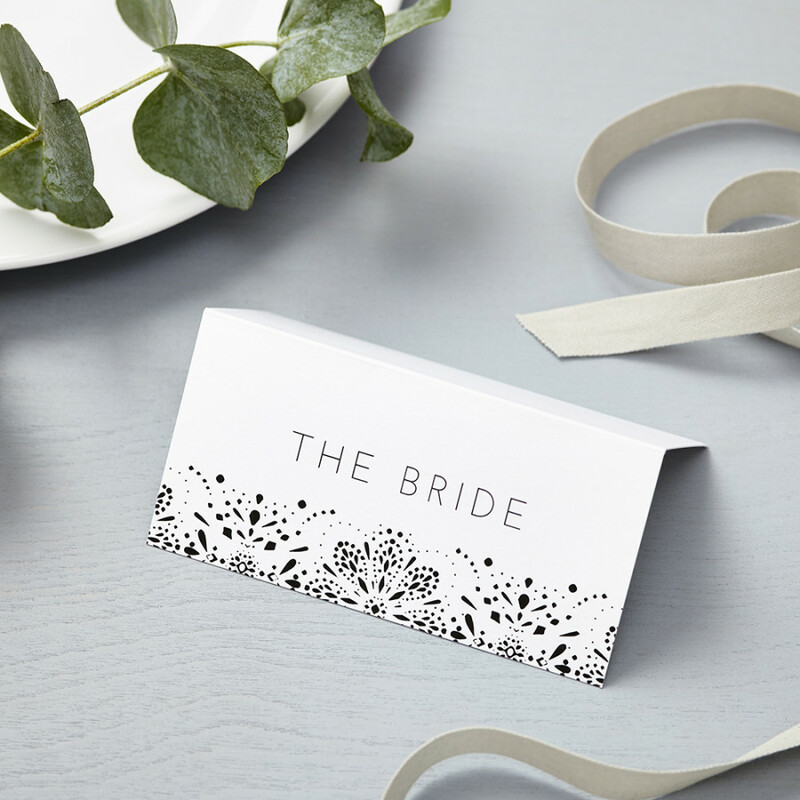 The simple but beautiful black and white design is made up of intricate filigree patterns and is printed onto beautiful soft white card. 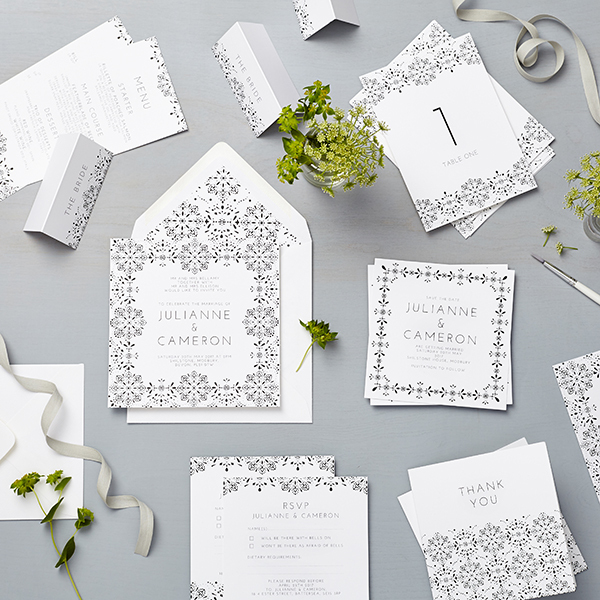 The monochrome Valentina thank you card design frames the carefully chosen elegant contemporary sans serif font for the perfect way to welcome your guests to your wedding.